A YouTube intro is a short clip that plays before your video. The purpose of it is to literally introduce viewers to you and your creative videos. Think of it like the opening credit sequence of a TV show, but much shorter, because attention spans tend to be a lot shorter online. What Makes a Good Intro? A great YouTube intro can establish your brand, get your viewers excited for the video they're about to watch, and show new viewers what you're all about. While it's perfectly acceptable to just upload videos to YouTube without an intro attached, there are some pretty important reasons that you might want to make an intro. When a viewer watches one of your videos, the intro is the first thing they see. That means the intro plays a huge part in first impressions, and a bad first impression can cause viewers to back out and look for something else to watch. Keep it short: Long intros might seem fun, but you need to think about the experience that your viewers are having. If an intro is too long, a new viewer might get bored and close the video. Loyal viewers may also become frustrated when binge-watching your videos if every single one starts with an overly long intro. Brand it: The most important thing about a YouTube intro is that it lets viewers know what they're about to watch. If your YouTube channel name is your brand, make sure that it's featured prominently. If you utilize a certain type of aesthetic in your videos, make sure the intro reinforces that. Let your originality shine through: We're going to show you the fastest and easiest ways to make a YouTube intro, which make use of templates. That's fine for when you're just getting started, but consider digging deeper into the tools we're about to show you, so that you can make a totally original intro that will set you apart from the crowd. Making a YouTube intro is a lot like making a YouTube video, and you can make one using many of the same video editing tools that are also used to make YouTube videos. 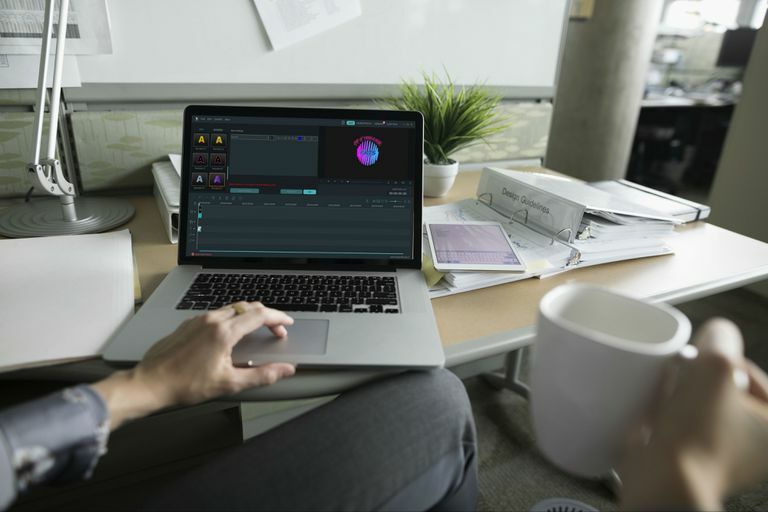 The two main methods are to use an online tool that's specifically designed to make intros, title sequences, transitions, and other specialty videos, or to use video editing software that has the built-in capability of making intros. The easiest way to make a YouTube intro is to use an online tool, because you don't have to download any additional software. There are a lot of sites that offer this service, but it's important to choose one that doesn't charge you any money, doesn't restrict the resolution of your intro video, and doesn't impose a watermark on your video. For this example, we're going to show you how to create a YouTube intro using Panzoid. This is an online service that allows you to create intros and transitions, backgrounds, and even edit videos. 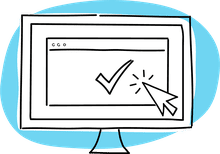 You can use any online service that you like, but Panzoid ticks the boxes we're looking for: it's free, it doesn't require you to sign up for an account, and it allows you to download a high resolution render of your intro without any watermarks. The following instructions show how to create a YouTube intro using Panzoid with the Chrome web browser on a Windows 10 computer, but you can use Panzoid in any modern browser on Windows, Mac, and Linux computers. You can even use a web browser on your phone, although there may be compatibility issues with some phones and mobile browsers. Click a clip that you like, or scroll down and click show more clips. Click the search field, type intro, and then press enter on your keyboard. Locate an intro clip that you like, and click it. If you don't see anything you like, click all categories to check out different categories of intros. Click the 3D wireframe box in the menu on the left side of the page. If the intro includes any default text, click on each one and replace it with your channel or brand name. Once you have customized the clip with your channel or brand name, click the eye icon. Click the play button to preview the intro clip. If you like the intro, click the download icon (arrow pointing down) in the menu on the left. If you don't like it, go back and try a different intro clip. There are a ton of template clips available, and you can also use Panzoid's advanced editing system to create one from scratch if you want. Select your desired mode and format, and click Start video render. If you see a popup box asking for permission to store data on your device, click Allow. Leave the webpage page open until the process is complete. Watch your intro, and make sure it looks the way you want. Your intro clip is now ready to drop into the video editing software of your choice. The other way to make yourself a YouTube intro is to use video editing software. Depending on the software you use to make your videos, you may be able to create an intro with it. If not, you can download video editing software that does have this capability. For this example, we're going to show you how to make a YouTube intro with a video editor called Filmora. You can download it for free, but your intro will have a Filmora watermark if you don't buy the full version of the software. Download and install Filmora, if you haven't done so already. Launch Filmora, and select Full Feature Mode. Locate a template you like, and click the + icon that appears when you move your mouse over the thumbnail. Two small teal rectangles will appear in the Filmora timeline. Double click the lower one. Click each line of text in the preview window, and replace it with the text of your choosing. You can change the font, size, and color of the text. You can also move the text around by clicking and dragging it in the preview window. Click the play button to see if you are satisfied with the intro. You can also add music to your intro if you want, or make it more flexible by adding any music or voice-overs when you create your actual YouTube videos. Select the format you want, enter a name for your intro, and click Export. You can click Settings to change the resolution and frame rate of your intro. Watch your exported intro, to make sure it looks the way you want it to. Your intro is now ready to insert into your YouTube videos using Filmora or any other video editing software.